So much that I managed to avoid them for the first 30 years of my life, with no plans to break the streak. I’d heard one too many stories, true or not, of people falling out of them. Reason enough for me to keep my feet on the ground. In the spring of 1994 a bunch of friends from my church in Tempe, Arizona decided to take a long weekend trip to Disneyland. I rode with Dave and Kim Ward. Wedged between them in the front seat was Kim’s little sister Amanda. About 3 hours into the drive west on I-10 the conversation turned to all the different rides at “The Happiest On Earth”. I casually mentioned I’d never been on a roller coaster. Amanda, who hadn’t said a word to me, slowly turned and gave me a silent stare. She shook her head with an expression of disbelief and a little bit of “oh, puh-lease!” before again facing front. About two miles passed when she turned back around. Tossing her head and ponytail as only junior high girls can do she again faced front, her challenge now sitting next to me in the back seat. When you’re a 30-year old graduate student how do you tell a junior high girl you’d rather not because you’re, well, terrified? You don’t. I managed an overly confident “Ok!”, and hoped she’d forget about it by the time we arrived. No chance. The second our tickets were scanned she grabbed my hand and made a bee line for the back corner of the park. Don’t you love the long lines at Disneyland? The serpentine side to side and up and down and back and forth that give you plenty of time to anticipate the fun? Or, in my case, prepare for the terror? At the point of departure I looked for any comfort. Counting the people being paired up ahead of us, we were going to be toward the back. Amanda saw this, too. “No way, buddy. We’re going first car.” She shifted us back a spot and sure enough here we are. 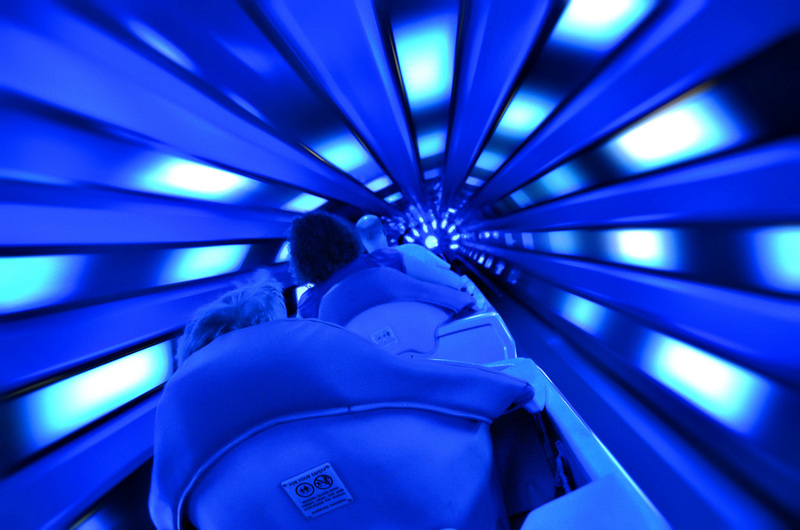 Space Mountain. Front car. My first roller coaster ride and it’s in the dark. I’d like to say I was wrong about my three decade phobia. I’d like to say it was a glorious breathtaking experience that left me with nothing but thrills and regrets for all the fun I’d missed over the years. But I can’t say that. I hated it. It didn’t matter that it was in the dark. My eyes were closed the whole time. Except for those few seconds I dared peek and saw white streaks resembling the Millennial Falcon entering warp speed. Which is kind of the whole point of Space Mountain. A roller coaster going where no roller coaster has gone before. And, yes, I realize I just mixed my science fiction metaphors. Star Wars. Star Trek. When you’re in the first car on Space Mountain, screaming louder than the little girl sitting next to you it doesn’t matter if you’re on a ride along with Skywalker or Spock. Warp speed is warp speed. I’ve thought about that roller coaster ride in the dark. And what the difference is between the person in the front car, hands in the air, eyes wide open, happily shrieking, wishing the ride wouldn’t end and the person in the back car, hands Vise-Gripped to the safety bar, eyes squinched shut, too scared to scream, praying for it to be over. It’s too simple to arrive at a conclusion of “adrenaline junkie” versus “fear factor”. Or “risk” versus “no risk”. As human beings, we are each one more complex than that. That said, it may be as simple as this. The ride is as good or bad as what we focus on. On Space Mountain, Amanda focused on the fun. She enjoyed the ride. I focused on my fear. I didn’t enjoy the ride. Same track, same car, same view. Two different experiences. I don’t like roller coasters. Yet life is one big roller coaster. Ups. Downs. Wildly fast hairpin switchbacks that press you into your seat. Stretches of high-speed straightaways that give way into banking turns you didn’t see coming. Seasons of painfully slow climbs that allow plenty of time to anticipate the thrill, or the terror, waiting over the next hill. 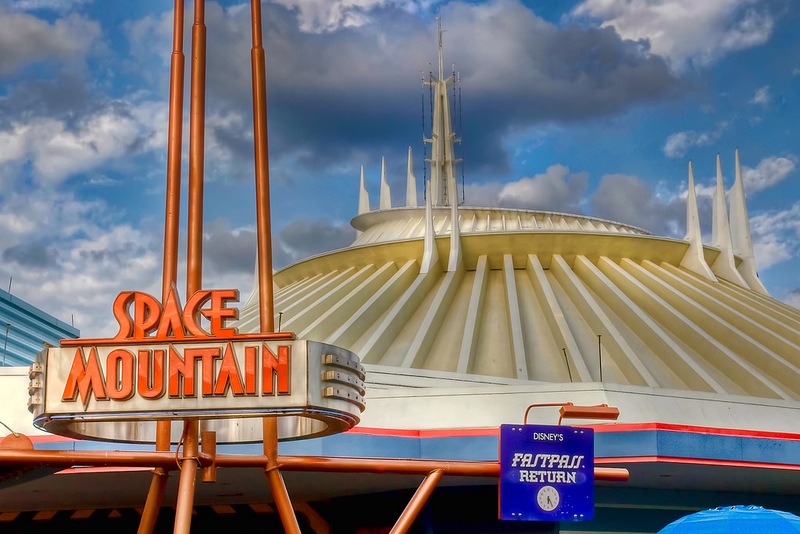 Unlike Space Mountain, we don’t have the option of getting off. We’re on this ride called “life” whether we like it or not. So where to focus? I can focus on my fear. Or I can focus on my Father. The God who promises that “nothing in heaven or earth will ever separate me from His love” (Romans 8:38-39). The God who promises to “never leave me or forsake me” (Deuteronomy 31:8). The God who promises to “never stop perfecting the good work He began in me” (Philippians 1:6). And at the end of it all, the God who promises to “accomplish everything that concerns me” (Psalm 138:8). Whatever part of the ride you’re experiencing today, don’t focus on your fear. Focus on your Father God. He has a purpose for every twist and turn, for every up and down. We’ll still grip the safety bar and scream sometimes. But it’s no small comfort to know He’s riding next to us. Even if it’s in the front car on a ride in the dark. I remember that trip but didn’t know about your fearfilled roller coaster ride. But true of lives are what we make of them more often than not. Blessings. Thanks Todd. This is a perfectly timed reminder to me as I head out on a mission trip to Egypt. Last year we ended up having to leave because of security stuff. It is amazing how God gives us a “peace that passes all understanding” when we end up in situations that cause us to fear. Knowing He is with us can provide all the comfort we need if we just trust Him. Thanks again. I will try to email you more details on the mission trip.